In just one month, MadWorld Europe 2018 will kick off in Prague, Czechia. Making its debut in Europe, the popular conference brings together the best and the brightest minds in technical communication and content strategy. What makes MadWorld unique? Aside from the passionate attendees, historic venue, and stellar networking events each night – it’s the impressive lineup of speakers that are excited to share their best practices and experiences. In the next post of our speaker highlight series, we interview Germán Basterra, a skilled translation and localization expert, to find out what we can expect from his upcoming sessions at MadWorld Europe. Germán Basterra has more than 15 years of experience in the localization industry and is Translation Manager and L&T Tools lead at Nestlé GLOBE. Born in Bilbao (Spain) he studied Sociology and Social Anthropology and has a Ph.D. in Sociolinguistics from the University of Marburg (Germany). He participated in the global roll out of the Nestlé GLOBE template starting 2003 in the areas of SAP localization and translation of training materials. A major focus of his work is the integration between language technologies and authoring/training tools within the context of a corporate system landscape. Hi Germán! We’re excited to have you at MadWorld Europe 2018. Can you give us a sneak preview of what to expect in your sessions? The first session provides an overview of the multilingual content lifecycle. The focus is on achieving translation quality through an end-to-end process using MadCap Lingo and other MadCap Software applications. If someone is new to translation of Flare projects and trying to grasp the complexities of localization, this session is designed to provide them with a practical guideline, particularly about how all the different applications integrate with each other. The second session discusses other situations where alternative tools become part of the workflow, the pros and cons of using MadCap Lingo in different scenarios, as well as opportunities for collaboration. Can you give a description of your role as Translation Manager at Nestlé GLOBE? It is a changing role as our company’s localization strategy evolves but I am basically in charge of language technologies, managing outsourced translation vendors and performing internal consulting for large-scale projects. In your session Achieving Translation Quality with an End-to-end MadCap Software Content Lifecycle, you plan to discuss how to integrate MadCap Software products to the translation process. What led you to choose MadCap Software? Many people use Flare as their tool of choice for single-source content development and then start thinking about translation. In my case it was the other way around. I started from the translation perspective and realized that a lot of the content we received was poorly constructed, which resulted in huge translation costs and poor quality. That is why we started promoting Flare for single-source development and a better localization process. What are some of the challenges of managing multilingual projects for a multinational company? One is the fact that people often only think about translation at the last minute, which typically gives you extremely tight timelines. Another is having to work with internal reviewers globally and the fact that despite all KPIs, there is a certain subjective element to translation quality. There are many others, but they help to make the job interesting. Any tips that you would like to share for anyone tackling a large translation project? Take your time at the beginning to set up the foundations of the project. People will demand that you to send things for translation immediately. But doing things in a hurry is counterproductive here. For instance, even something relatively simple such as naming conventions may cause you major headaches if you do not establish clear guidelines from the start. Looking forward to learn a lot from speakers and participants, exchange ideas and have fun! 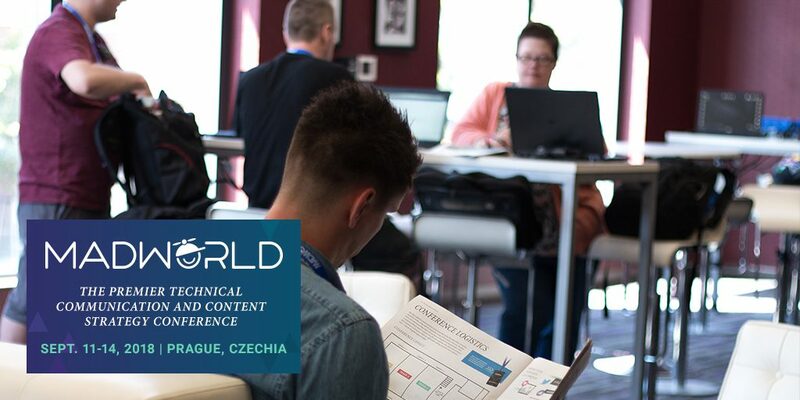 If you’d like to learn about translation and technical communication best practices from leading experts, you won’t want to miss MadWorld Europe. And with our last deadline ending on August 17, this week is your last chance to save up to $200 USD on registration! For more information about MadWorld Europe 2018, including the schedule, speakers, and pricing, visit our MadWorld conference page.